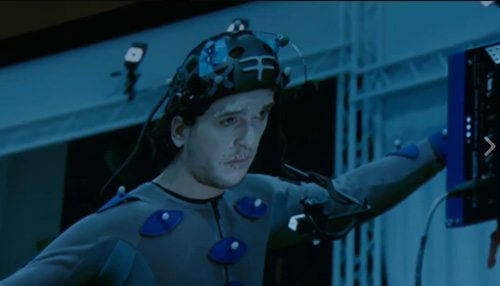 Screenshot of Kit Harington courtesy of Call of Duty on Facebook. Check out the behind the scenes of Call of Duty: Infinite Warfare video featuring a clean-shaven Kit Harington here. Details on Call of Duty: Infinite Warfare – Award-winning studio Infinity Ward breaks new ground in storytelling, by exploring the weight of leadership and the responsibilities that come with it in an emotional, character-driven narrative. Players are thrust into wartime leadership as Captain Reyes, a Tier 1 Special Operations soldier, who takes the helm of the Retribution, one of Earth’s last remaining warships. In a time of unthinkable hardships, Reyes must lead the remnants of coalition forces against a relentless enemy in a war that stretches to new terrains across the vast expanse of our solar system beyond Earth.